For a truly mystical setting for your wedding – one that reflects the passion and love the two of you share – then it must be Valley of Fire just outside Las Vegas, Nevada. It will take your breath away! A Valley of Fire wedding set against red sandstone cliffs. It’s taken over 150 million years of wind, heat, erosion, and geologic shifts to create this fiery and rugged sandstone landscape so aptly named Valley of Fire. Shifting sand dunes, limestone and shale rock formations, and sweeping vistas of painted sunsets are a few of the beautiful locations for you to choose from. Each site looks “worlds away” from the ordinary but mere steps from your limousine. Another Valley of Fire wedding with sweeping vistas as the backdrop. Our preferred Valley of Fire wedding sites are some distance from popular hiking trails, campgrounds, and other day-use sites. You’ll enjoy the feeling of having Valley of Fire all to yourself! A Valley of Fire wedding location as dramatic and fiery as the love you share. Your family and friends will “ooh and ahh” over how gorgeous you two look set against the spectacular red rocks and blue skies of Valley of Fire. Our experienced professional photographers will beautifully capture the exquisite moments of your special day. At Valley of Fire, our photographers will take photos before, during and after your wedding ceremony so you will have memories for a lifetime. Your photographers will personally review all the digital images before providing you with the very best photos that come with your Valley of Fire wedding package. That means you can be assured of receiving only the most gorgeous photos – not blurry, off-kilter or poorly composed photos – but those most fitting for you! With every Valley of Fire wedding package, you will also own ALL photo rights at no extra cost! This means you can print, enlarge, share, and use them any way you want. Our wedding coordinator will work with you to personalize or customize your Valley of Fire wedding package so your wedding reflects your style, taste, and preference. We’ll make sure that all the plans and details are in place for your special day. Our wedding coordinator will also be present at your wedding so you and your guests can enjoy every moment of your special day stress-free. We want your wedding to be absolutely fabulous and filled with happy memories! That’s why we take the time to listen to what you want for your wedding, review the details and expenses with you, and inform you of any fees not included in our Valley of Fire wedding packages or services – all prior to your arrival to Las Vegas. For example, gratuity (tips) for the minister or officiant is included in the prices of all our wedding packages (something many Las Vegas wedding companies do not do). For photographers and videographers, we let you tip them directly after your wedding for the level of service they give you. If you have any questions – no matter what it is – about a Valley of Fire wedding package or getting married in Las Vegas, please ask! We want you to have that wedding you’ve dreamed about. Let us put our expertise and knowledge to work for you. 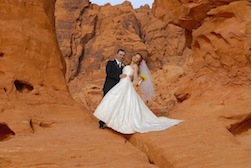 Please call 1-888-443-3135 or email us today so when we can help you experience a magical Valley of Fire wedding. Is transportation included? If not, how much is it? Are flowers included? If not, how much are they? Is a DVD is included? Ask if it is true HD or HD quality. There is a big difference! Is gratuity included for the Minister or is it customary to give gratuity? If so....how much? Is a Sunset Wedding more expensive? How much? Are certain days, known as premium days (such as Valentine's Day, New Years Eve, etc.) extra? If so...how much ? Are friends or relatives allowed to take photos during ceremony? WHY NOT ??? Are Champagne and two glass flutes included? If not.. how much are they?? If it sounds too good to be true, then call Las Vegas Strip Weddings! Our package prices include everything. No hidden costs. The only exception is a gratuity for the photographer and videographer. That's it!! 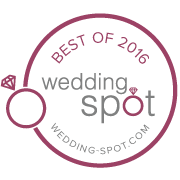 © 2015 Las Vegas Strip Weddings®.